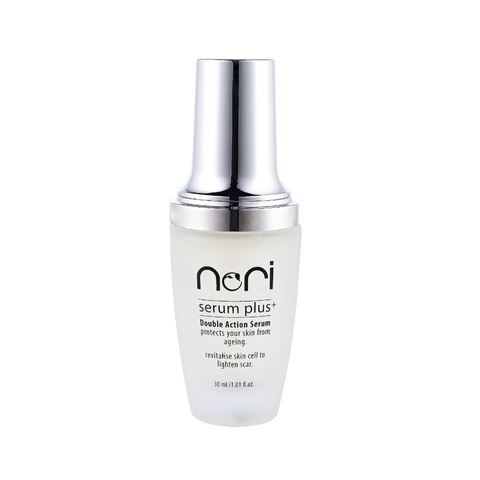 Nori Serum Plus contains superb highly concentrated ingredients used for slowing down aging. 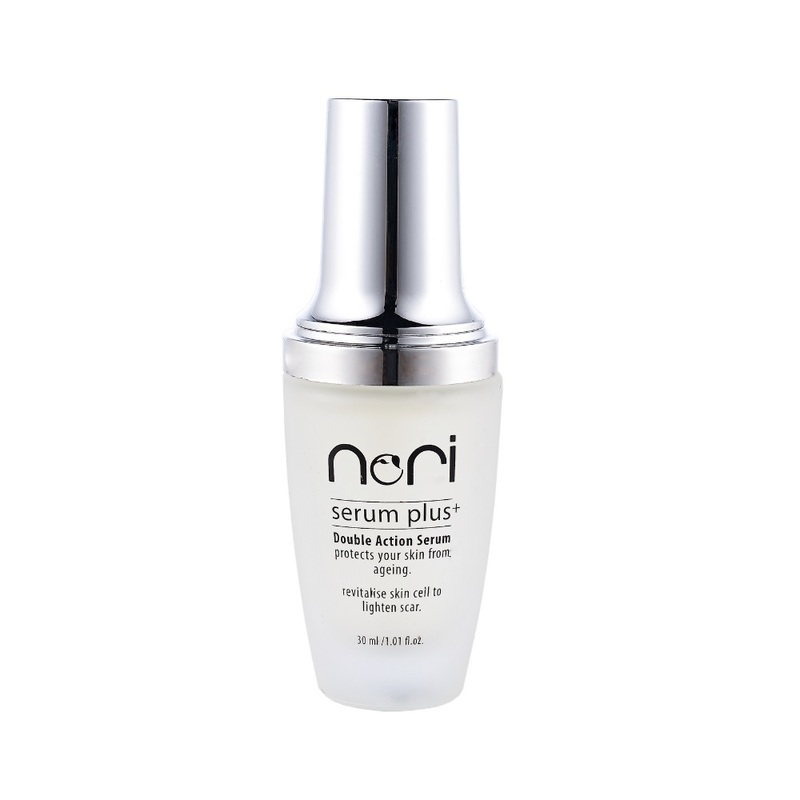 This ultra-rich daily use face serum is extremely rejuvenating and nourishing, leaving skin feeling fresh and velvety smooth. IngrediAqua, Glycerin, Propanediol, Sorbitol, Sodium Hyaluronate, PEG-40 Hydrogenated Castor Oil, Sodium Polyacrylate, Alcohol Denat, Methylparaben, MicrocitrusAustralasica, Tetrasodium EDTA, Allantoin, Potassium Hydrolyzed, Polygamma-Glutamate, Hydroxypropyl Cyclodextrin, Laminaria Digitata Extract, Hydrolyzed Algin, Malus Domestica Fruit Cell Culture, Fragrance, Phenoxyethanol, Sodium Phosphate, Yeast Extract, Proplyene Glycol, Pancratium Maritimum Extract,Xanthan Gum, Chlorphenesin, Palmitoyl Tripeptide-38, Lecithin. motion until serum is absorbed fully.